A lace frontal is used when you want to recreate the entire hairline from ear to ear and about 2 inches back. Many women who wear lace frontals use them when they want to try a completely different color or texture from their natural hair color or when they want to protect their edges. 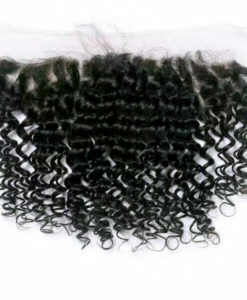 Our lace frontals are of superior quality to many on the market and are all 100% human hair!